First call in blue for the defender of Mozzanica Martina Zanoli. The rally will end with a test against the Fiorentina spring team. 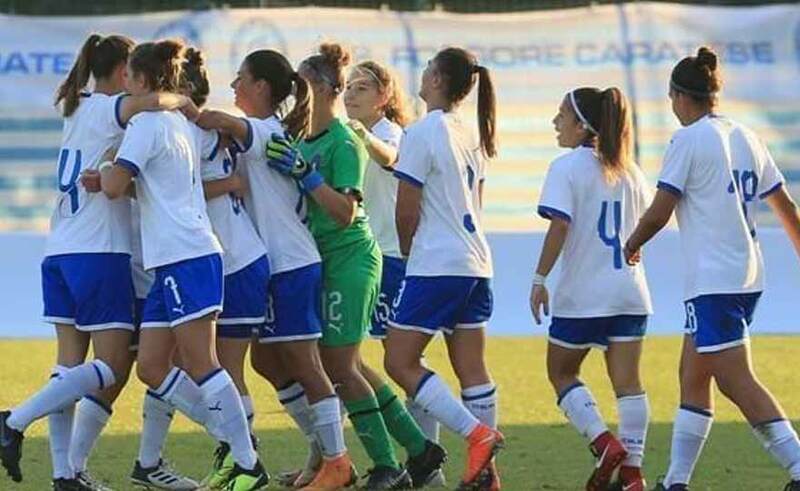 Venti Azzurrine will meet on Sunday 24 February at the last stage before the start of the National Under 17 Women's Championship for the Elite Round of the European Championship of the category, which will be played in March in Tuscany. Italy, which has set its headquarters in Montecatini, will debut the 21 against Iceland in San Giuliano Terme, 24 will face Slovenia at the stadium of Agliana and 27 will close the group in Lucca against Denmark. The internship scheduled from 24 to 28 February in Coverciano will serve the technical Nazzarena Grilli to evaluate the conditions of the group and for the latest technical choices. Among the summoned the blue coach has inserted a new face: it is the defender of Mozzanica Martina Zanoli, at his first call. Two sessions of daily training await the Azzurrine until Thursday 28, when the rally ends with a test against the Fiorentina spring team. Forwards: Federica Anghileri (Mozzanica), Ilaria Alice Berti (FC Internazionale Milano), Clara Anastasia Cancilla (Empoli Ladies), Elisa Carravetta (FC Internazionale Milano), Martina Tamburini (Jesina Femminile).